Building a new space is a stressful but rewarding investment and ensuring that investment yields an optimal return involves maximizing efficiency wherever possible. One of the most effective ways to accomplish exactly that is by optimizing your property’s energy efficiency. As the Department of Energy suggests, the first and most affordable step to energy efficiency is high-quality insulation. Insulation comes in several different types depending on your needs and the local climate. To determine which type is best for you, contact Marietta’s top insulation contractor, Action Brothers Insulation. There are many different types of insulation, and depending on the circumstances, one type may be more effective than another. Blown insulation is pumped or injected into walls, roofs, and other areas, it is also used in the insulation of new construction and remodels. 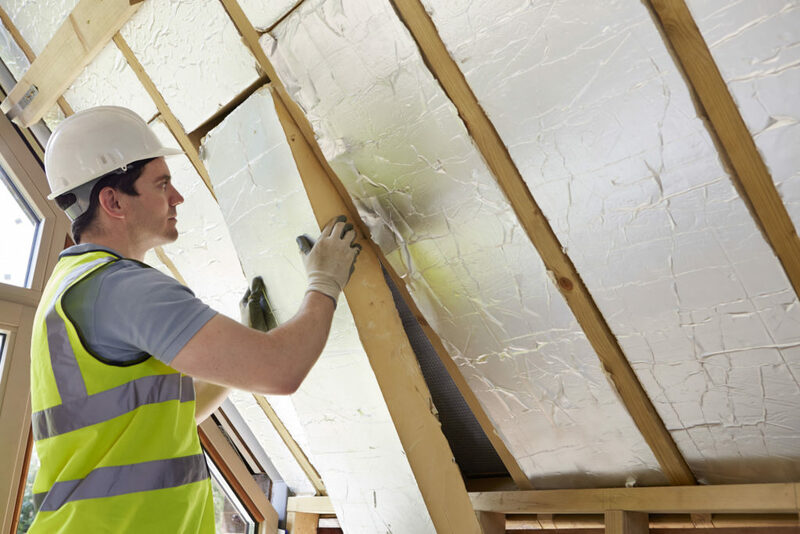 Batt insulation is precut into sections of fiberglass or rock wool insulation that are easy to handle and fit between framings, such as studs and joists. Spray or foam insulation is a spray-applied plastic that can form a continuous insulated sealing barrier throughout contoured surfaces. Trust our specialists to accurately determine what type would be most appropriate for your situation. Each install requires professional measurements to be taken and the proper equipment to be used. Spray insulation in particular requires specific pressure spray guns and blow insulation requires industrial-sized fans and hoses. All this equipment can come at a high price when rented and end up costing a property owner even more when used be those who are inexperienced. After 18 years of serving our local community in Marietta, Action Brothers Insulation has collected top of the line equipment from Owens Corning products to ensure each install is performed seamlessly. As an added service, we also offer free estimates and clean up after ourselves following the completion of each job we undertake. Insulation installation can be a quick and simple process when performed by those with the appropriate training and equipment. For spray foam insulation, an industrial foam sprayer is necessary in order to maximize effectiveness. With rolled insulation, it takes precise measurements and cuts that can only be done with professional tools. All these methods also require safety gear and precautions and should not be attempted by those who are inexperienced. Hire Marietta’s top full-service insulation contractor, Action Brothers Insulation, to ensure your insulation is installed quickly as well as effectively. With 18 years of experience, Marietta’s Action Brothers is an elite contractor. Let Action Brothers Insulation put your mind at ease with our trusted staff who provide excellent service time and again. Contact us today to schedule an estimate for your Marietta home or commercial space.